Price guide (per night): from $165-$468, depending on length of stay and time of year. Located on the beautiful shores of Geographe Bay close to Busselton and sleeping up to 6, Forte Cape View is the perfect location for your family holiday in the Margaret River Wine Region. An easy 3 hour drive south of Perth, this region offers something for everyone, whether you are visiting for a weekend or on an extended family holiday - and there is no better place to base yourself to explore it. Combining an outstanding beachfront location, with well-appointed accommodation, Forte Cape View is a true home away from home, with all linen and bath towels provided. Our spacious, fully self-contained accommodation, some of which are only 50m from the beach and others which have their own private back-yards, is available in a range of configurations. We also offer both single and double story options. 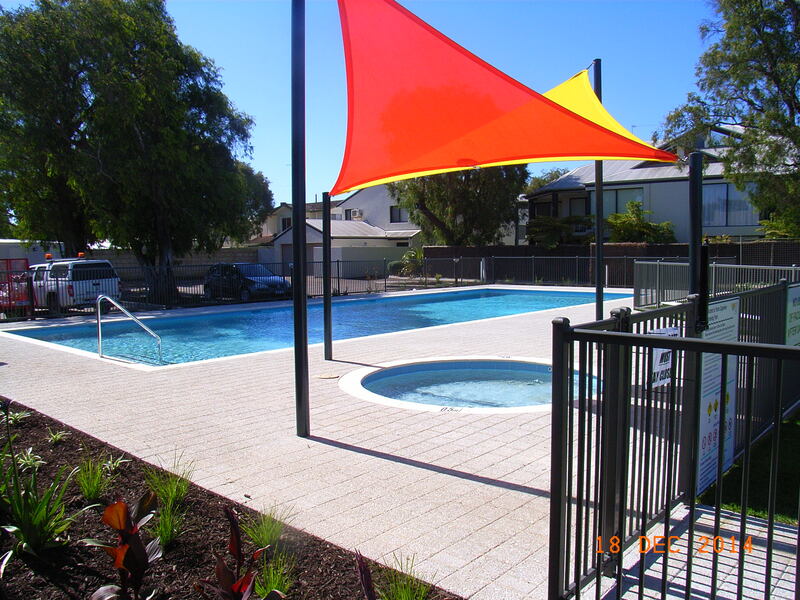 With a range of 2 and 3-bedroom apartment and bungalow style accommodation, we can cater for families of up to 8. For extra convenience, all include 2 bathrooms and full kitchens, with dishwashers and washing machine and dryer facilities. Some of our apartments also include spa baths. At Forte Cape View, you can be as relaxed or energetic as you like. Why not hire a fishing rod and catch you own meal to cook in the barbecue area. We also have bikes for hire, perfect for a leisurely ride along the Geographe Path, which passes our back-door, offering a scenic ride into Busselton. Your children can also play and meet new friends in the playground area, and of course, enjoy building sandcastles and swimming in the beautiful turquoise waters that is our backyard. For those visiting with babies, we have highchairs and portacots for hire, saving you valuable luggage space. And to keep children of all ages occupied on rainy days, we also have X-Box and DVD hire on-site. With award-winning wineries, the natural wonders of the Ngilgi Caves, the beautiful Leeuwin-Naturalise National Park and the famous Busselton Jetty and Underwater observatory all within a comfortable driving distance, this region is perfect for a family holiday. We look forward to welcoming you and your family here soon. Family Friendly Accommodation likes: A beautiful beachside location, in a complex offering a range of facilities that work towards creating the perfect family holiday. Not what you were looking for? Check out more family friendly accommodation in the South West region of Western Australia, including Margaret River and Busselton.